Grand Canyon University participated in a volunteer community service project last week. Grand Canyon University club coach, Lance Thompson, and ten of his players staged a clinic for a Fiesta Bowl field dedication at a local grade school. The appreciation in the students’ eyes was clear at a ceremony for a donated field at Puebla del Sol Elementary School. Fiesta Bowl Charities and partner UnitedHealthcare turned a dirty, rocky field into a grassy area with the turf from December’s Cactus Bowl. 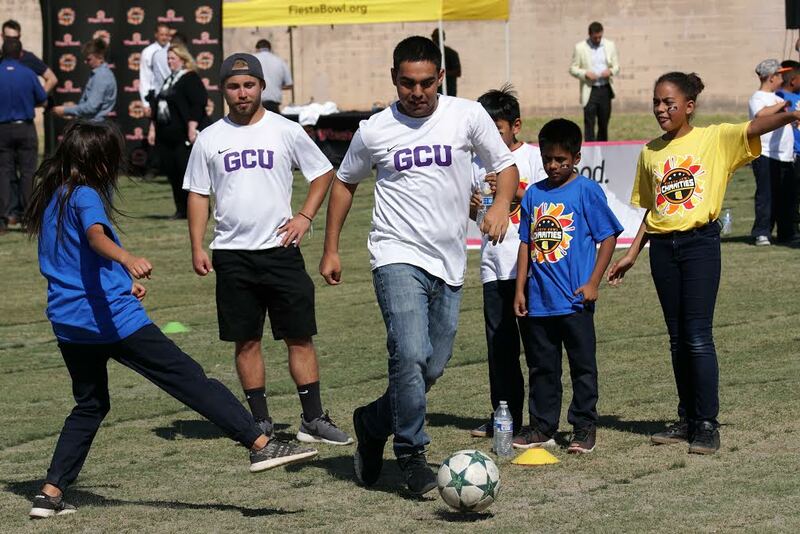 Dignitaries from the Fiesta Bowl, UnitedHealthcare and Isaac School District attended the ribbon-cutting ceremony but the GCU club soccer players were the celebrities to the kids who raced to give them high fives upon entrance. The event included GCU history with the presence of Lopes basketball legend J.C. Helton, who coached and taught in the Isaac district and holds the state record for middle school basketball coaching victories. 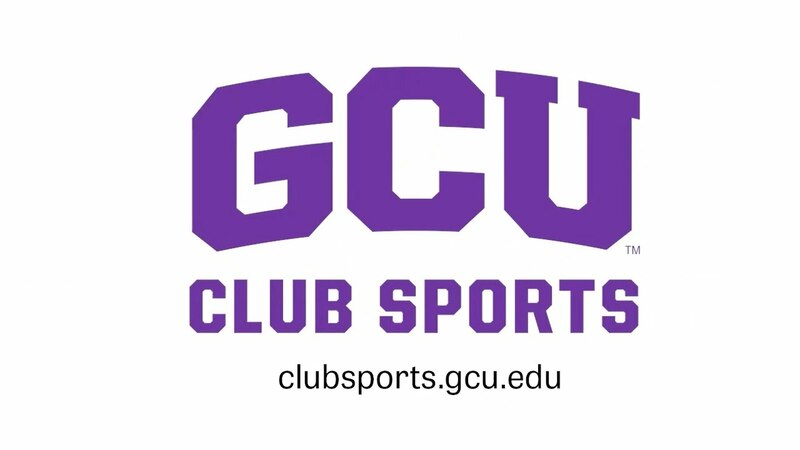 GCU soccer players Mo Belahoussine, Peter Delgado-Murillo, Jose Ferreira, Riley Hood, Jeremy Logan, Logan Ray, Tori Roel, Casey Slattery, Camden Vellom and Megan Wojnicki worked four soccer skills stations with the Pueblo del Sol students excitedly rotating through each one. At the end of each session, the students were making the Lopes sign with their hands. At the end of the clinic, they were hugging the GCU students before being pulled back to class.